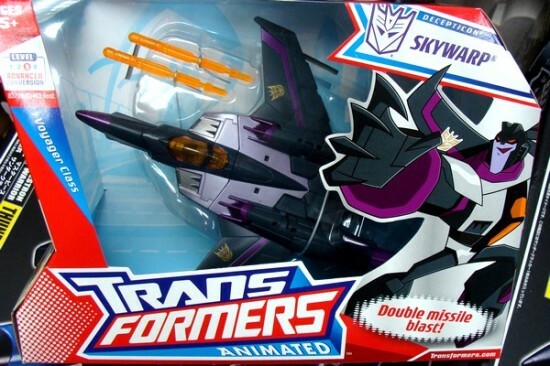 Latest addition to the TFA voyager class figures, Shockwave and Skywarp arrived to Toywiz now. Retail @ RM109 each and selling hot. Roll into TRANSFORMERS excitement with this four-mode, robot-to-vehicle figure based on the deep-cover spy character from the TRANSFORMERS ANIMATED television series. Twist and turn this mechanical-looking machine from DECEPTICON tank to AUTOBOT crane ?and back again. Pretending to cross enemy lines? 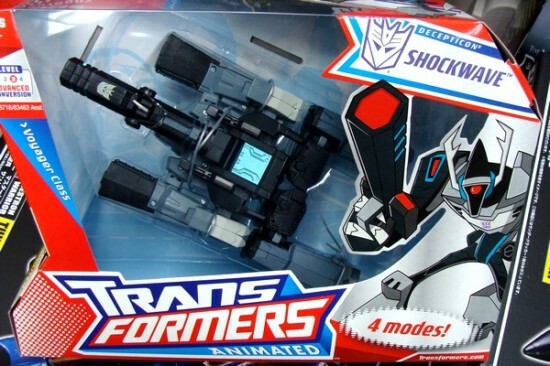 Convert this evildoer from SHOCKWAVE spy to AUTOBOT LONGARM infiltrator in robot modes! SKYWARP wouldn’t call himself a coward. He’d call himself smart. So what if he runs away from combat? Fighting is dangerous! All those missiles and lasers could really hurt someone! As a clone of STARSCREAM, he’s got all the power and skill of the leader of the DECEPTICON air forces, but none of the courage or ambition. He could easily be one of the most dangerous DECEPTICONS of all time, but since he screams and runs away the second a shot is fired, he’s mostly just a joke. Roll into TRANSFORMERS excitement with this robot-to-vehicle figure based on the fearful super pilot character from the TRANSFORMERS ANIMATED television series. Twist and turn this mechanical-looking DECEPTICON from robot mode to fighter jet vehicle mode ?and back again! Featuring flip-down missile launchers and hidden arm lasers in robot mode, and two firing missiles in vehicle mode, this SKYWARP figure is ready for all of your TRANSFORMERS adventures.